Kale Firehart is a young dragon, and the sole survivor of his race. As a tyrannical general and his massive bloodthirsty army close in on Kale, the most unexpected circumstance transpires. With time against him, Kale's trusted friend, a veteran arcane sorcerer, transforms him into the one thing he despises most--a human. Kale must unwillingly live among human-kind as he embarks upon an extraordinary journey. With a band of unlikely friends by his side, can Kale overcome the obstacles before him and return to the life he once knew? The age of dragons is all but over... 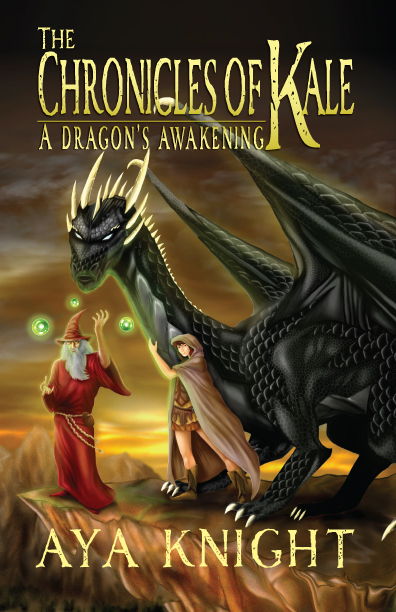 The Chronicles of Kale: A Dragon's Awakening is book 1 in a young adult epic fantasy series. Aya Knight was born in South Florida, where she spent the majority of her childhood. At a young age she developed a strong passion for fantasy and a love of writing. Through movies, books and video/computer games she would escape into an alternate reality filled with adventure, magic and epic quests. As Aya entered adulthood, she expressed her enjoyment of writing through becoming a freelance journalist. She wrote about a broad variety of topics that gave her a brighter insight of the world. Eventually a story began to develop within her mind involving characters she immediately grew attached to. Aya knew that she needed to compile her thoughts onto paper. She grew so intrigued with the evolving storyline that she placed all hopes within the hands of her imagination, leaving journalism behind. Aya now lives in Central Florida with her husband and two sons where she continues her passion. I have always been a fan of dragons, sorcerers, and anything mystical. The Chronicles of Kale is the authors debut novel and was fantastic. You meet Kale, a dragon who is changed into a human for his protection and finally learns what it means to be human. As he travels with his friend Thomas, he has to live among the humans and blend in with them so he is not killed. He is the last living dragon and he is being hunted by the army. You can feel Kale's emotions throughout the story and the scenery came alive. There was suspense, fear, love and sadness all bundled up in this great epic fantasy novel. I highly recommend the book and I look forward to the next book in the series when it is available. Although the book is due to be released on May 6th, you can preorder it on Amazon.com and Barnes and Noble. You can read a preview of the book here. 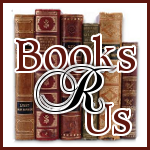 Please read the author's Guest Post on her Inspiration for writing the book. Another book to add to my wishlist. Think I'll get this for my daughter to take to the beach this summer! Thanks Love your book reviews!!! !